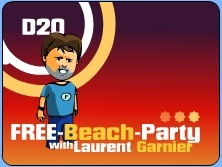 In this episode, the Patchouli family is establishing on Itland and in order to attract the favours of the itlanders, they offer expensive constructions to the island like a casino and a cinema which will be festively inaugurated, with guest DJ Laurent Garnier ! If you wanna be in condition, better practice ! New Beta chat rooms available with new scenes, avatars and surprises ! Last message by: DidoArt12 : Anyone? A great world map of Banja players to locate all the Gulls ! Excellent work by Flipflops. Big Gulls Cencus: add yourself to the Banja map on Frappr, ir's really easy !